Whenever the world rings in a new year, we are privileged to reach another milestone that, in our opinion, seems almost as worthy of global celebration. Happy third birthday to us! 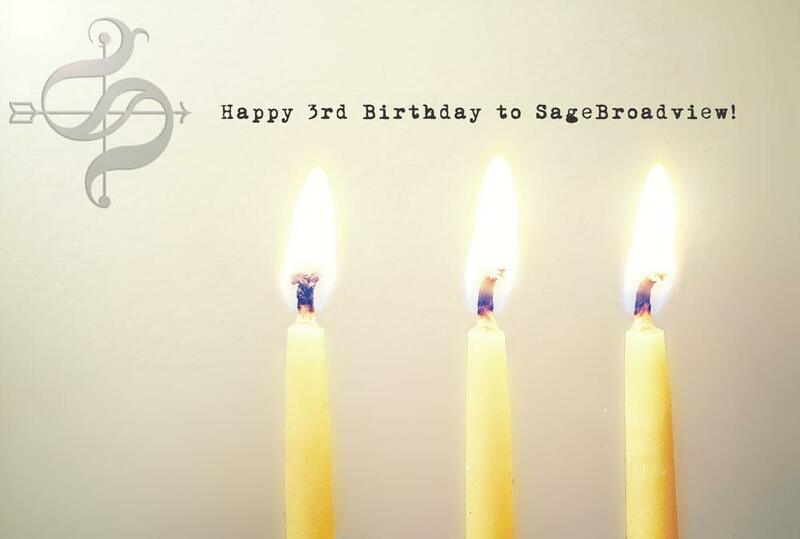 On January 1, 2014, SAGE Advisory Group of Morristown, NJ and Broadview Financial Planning of Farmington, CT merged and became (drumroll from Devon please …) SageBroadview Financial Planning. Combining two seasoned teams scattered across multiple states into one cohesive group hasn’t always been easy. Check out this Financial Advisor magazine article sharing our “Next Level” experience at the time. Or, here’s our announcement of the partnership, if you’d like to stroll even further down memory lane. We had 85 client relationships representing $92 million of assets under management (AUM). We were a team of five – Sheri, Larry, David, Chris and Lynn. Three of us were Certified Financial Planner™ practitioners. We had two offices – one in Morristown, NJ and one in Farmington, CT.
We had 100 client relationships representing $162 million of AUM. Ryan joined us in 2016, bringing our team to six. We also have mentored several summer interns, with whom we hope to stay in touch as their careers unfold. Chris achieved his Certified Financial Planner™ credentials in 2014, bringing our force of CFP® practitioners to four. Chris moved from a home office to Burlington Woods Office Park in Burlington, MA, bringing our office count to three. If you have an eye for numbers, you may have noticed that our new client relationships increased at a satisfying but relatively modest rate of 15% (from 85 to 100 families), while the assets we managed for them grew at a much more dramatic 76% rate (from $92 to $162 million). Leveraging technology – We’ve doubled our investment in technology during the past three years, including upgrading to Envestnet®/Tamarac’s® AdvisorView™ so clients can keep an informed eye on their investment portfolio. Scaling our firm growth – While we don’t plan to become the biggest gorilla on the block, there are cost and other efficiencies that a larger firm can employ as it grows. For example, behind the scenes, we reached the $100 million AUM level required to register with the national Securities and Exchange Commission (the SEC), instead of needing to register state by state. Seeking outside vetting – Speaking of that SEC registration, as part of the process, we also conducted two mandatory custody audits completed by an independent accountant, and received clean letters of opinion on both. Continuing education – We love to educate others as well as regularly refresh our own knowledge on all things wealth management. Since day one at Sage Broadview, we’ve been sharing these weekly blog posts with precious few breaks, so that’s about 150 posts. Our wealth managers have collectively earned 396 hours of continuing education (CE) credits – to meet our professional requirements and because we’d be doing it anyway. Mindful living – This talking point often gets overlooked in your usual business development discussions, but as we advise others, so too do we reserve time for ourselves and our family. Some of the milestones there included Sheri, Lynn and David all seeing some of their adult sons and daughters off to college, while Chris (Dad) and Larry (Grampy) welcomed daughter/granddaughter Avery Grace to the world. For me, there also were world travels, tons of reading and daily meditation along the way. People with different talents and temperaments can come together and build something stronger than the sum of their parts. Success comes, not by taking away from others, but by being kind to one another and mindful of each other’s viewpoints. Staying power is best found in thoughtful deliberation, with patience and perseverance guiding the way. Say, these sentiments remind me of a certain investment strategy we recommend. Here’s to many more years of the same! SAGE Serendipity: Did you know the musical spectacle wasn’t born in a Super Bowl stadium? As we celebrate three, this year marks the 300th anniversary of the 1717 premiere of George Frederic Handel’s Water Music. 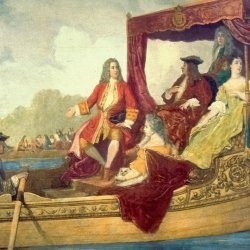 The orchestra played its inaugural performance on the Thames river for King George I while he was in his royal barge. It was quite the spectacle and quickly became a sensation. This year there will be many anniversary concerts — one on the Thames at the same time and on the same day, July 17, as the original as well as a performance in New Jersey at Lake Club in Far Hills, also on the water.